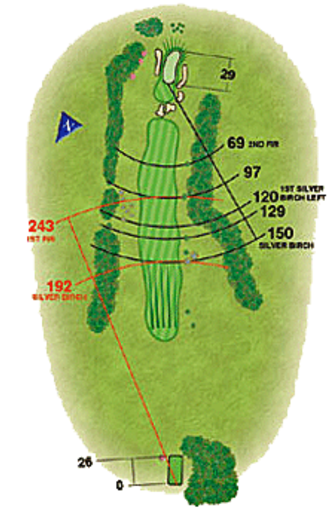 The downhill tee shot must avoid leaking away into the right hand trees. A cluster of bunkers protect the front of the green so a high shot will be required. Similar to the ninth green a shot played over the back of the green will leave a tricky chip shot up a steep slope onto a green that slopes away from you. Deep greenside bunkers both sides make par a respectable score at this deceptively difficult hole.